Science Newsletter: Is stress contagious? New research suggests stress is as contagious as any communicable disease. Do you ever feel yourself growing anxious listening to someone else talk about their stress? Or does merely being in the same proximity as a person in a stressful situation make you uncomfortable? If this sounds familiar, you’re not alone. New research from the Max Planck Institute for Human Cognitive and Brain Sciences and the Clemens Kirschbaum Technical Center in Dresden, Germany has recently addressed the intriguing possibility that stress can spread like an infectious disease. While you may not be able to control indirect stress, there are a variety of ways to help your body combat stress. Adaptogens are one way. Adaptogens, like those in Ionix Supreme, help provide a barrier against physiological, mental and environmental stress. 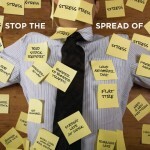 Read more about stress and ways to manage it in our Science Newsletter, or articles on ways to relieve stress on our health blog, Isagenixhealth.net.